We have only 5 gameweeks to go in the current Premier League season. Liverpool are top of the table with 85 points, just two ahead of Manchester City. However, Pep Guardiola's men have a game in hand over their rivals in what has been an intensely engrossing title race so far. The race for the top 4 is just as fascinating, with only 4 points separating Tottenham at 3rd and Manchester United at 6th. The likes of City, Liverpool, Arsenal, Spurs and Chelsea are also still involved in Europe, which could have major implications in terms of Champions League qualification and the title race. The gulf between the top 6 and the rest of the Premier League sides has been increasing over the last couple of seasons. This time around, 7th-placed Leicester trail United by a massive 17 points. 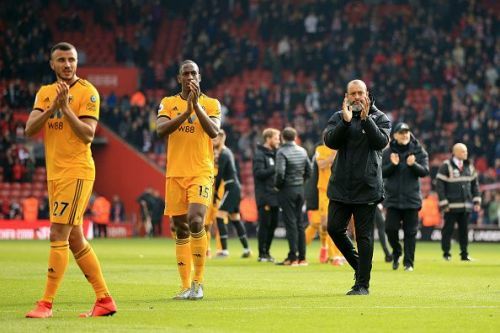 In spite of that gap, teams like Leicester, Wolves and Watford have continued to impress fans and critics alike with their impressive displays this season, and some of their players have been outstanding. Wolves utilised the chaos in Sporting CP's dressing room to make a move for Portugal's no. 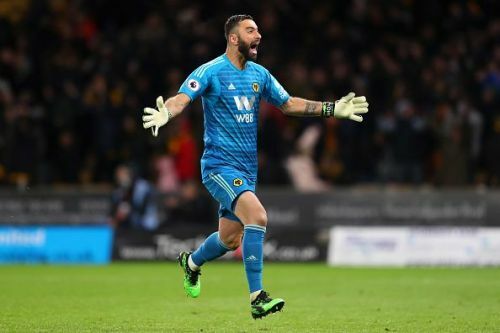 1 Rui Patricio, who has lived up to the hype this season. The 31-year-old, who has 79 caps for his country, has been one of the stand-out goalkeepers in the Premier League, keeping 6 clean sheets this season. His performances, coupled with Nuno Santo's organised defensive system, will probably help Wolves finish 7th. Wolves have been one of the best newly-promoted sides in recent memory, and Patricio has been a crucial cog for them.